Celebrities from sports, TV and film are expected to attend the 5th anniversary gala of the Cathy’s Kids Foundation later today, Friday April 17. Cathy’s Kids was founded by Los Angeles Lakers star Lamar Odom in March 2004 to make a positive impact on the lives of under-privileged children, as well as target a disease that has played a significant role in Lamar’s life, cancer. 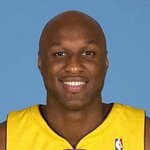 Lamar lost his mother to stomach cancer and is committed to help causes that are focused on finding a cure and helping people who suffer from the disease. The gala starts at 6pm at the Roosevelt Hotel Grand Ballroom on Hollywood Blvd, and celebrities expected include the entire Laker team including Kobe Bryant and Derek Fisher, as well as Dania Ramirez, Nicky Hilton, David Katzenberg, Milla Jovovich, David Arquette, Audrina Patridge, Paris Hilton, Sanaa Lathan, Shawne Merrima, Brandon Marshall, Omar Epps, Christina Milian, Al Shear, Sean Riggs, Jason Steed, Black Thomas, Claudia Jordan, Faith Evans and many others. Tickets are $150, with all proceeds going to the foundation. For more information about Cathy’s Kids, visit their website.